As a beer lover, I’ve always looked forward to the fall. It’s the time of year when I put down the light, crisp German lagers I drink during the summer and reach for something richer, spicier and heartier—ale. Specifically, Belgian ale. A radical departure from any other style of beer in the world, the ales that emerged from Belgium roughly 1,000 years ago are all about aroma, sourness, texture and fat. Not the kind of fat found in a pulled-pork sandwich, mind you, but the light, rich fat of a freshly plucked avocado. American beer aficionados (a.k.a. nerds), tired of lighter, mass-market lagers and/or the overly hopped microbrewer’s darling IPA, have long delighted in attempting the near impossible—replicating 10 centuries of European tradition by brewing Belgian-style beers on U.S. soil (an example of American hubris at play even behind the bar). Goose Island Brewing in Chicago and New Belgium Brewing in Colorado were the trailblazers, producing the first domestic Belgian-inspired beers roughly 20 years ago. Today, however, a number of other U.S. beermakers are following suit. And while none of them possess the experience of their Belgian counterparts, their innovation puts them in the same company. TASTING NOTES: Brewed with Montmorency cherries from Door County, Wisconsin, a brilliantly bright beer, with sour stone fruit, hops and oak, followed by leathery tannins and crème fraîche. 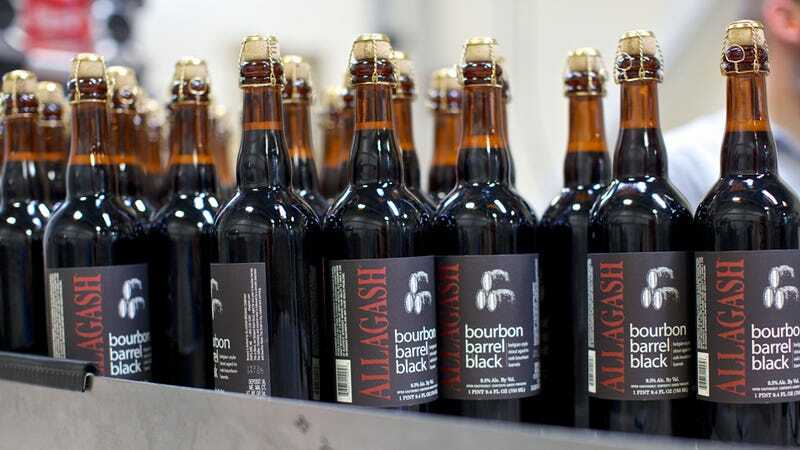 TASTING NOTES: A stout ale that has been aged for a year in used bourbon casks. The sweetness of the bourbon and warm oak notes temper the bitter dark chocolate. TASTING NOTES: A dark ale aged with black currants in used cabernet sauvignon casks. Initial aromas of leather and bourbon are followed by a rich sourness that’s surprisingly buttery on the palate. TASTING NOTES: Sour, crisp and lightweight yet with a medium body. At the same time, the local hops give it a beautiful, floral tone.